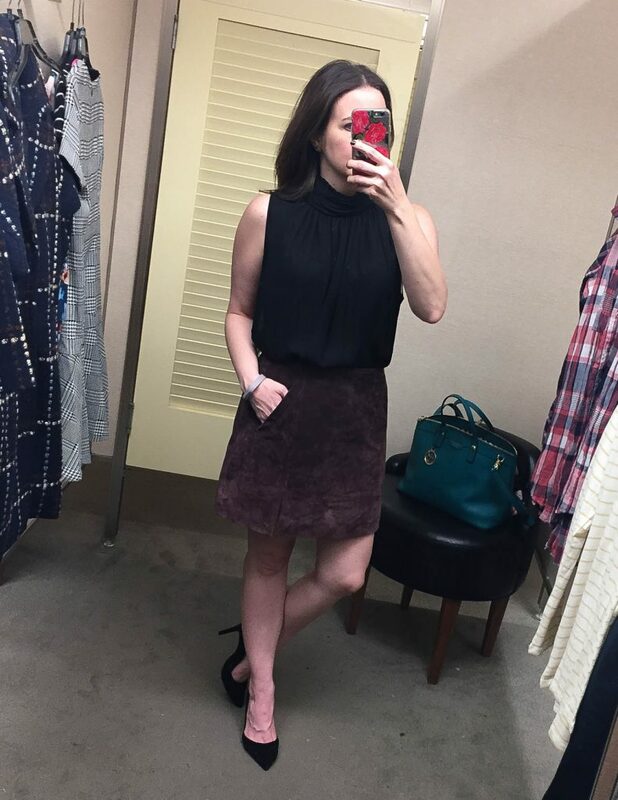 Late last week, my first round of purchases from the Nordstrom Anniversary Sale arrived and of course I couldn’t wait to start sharing all the cute outfits. 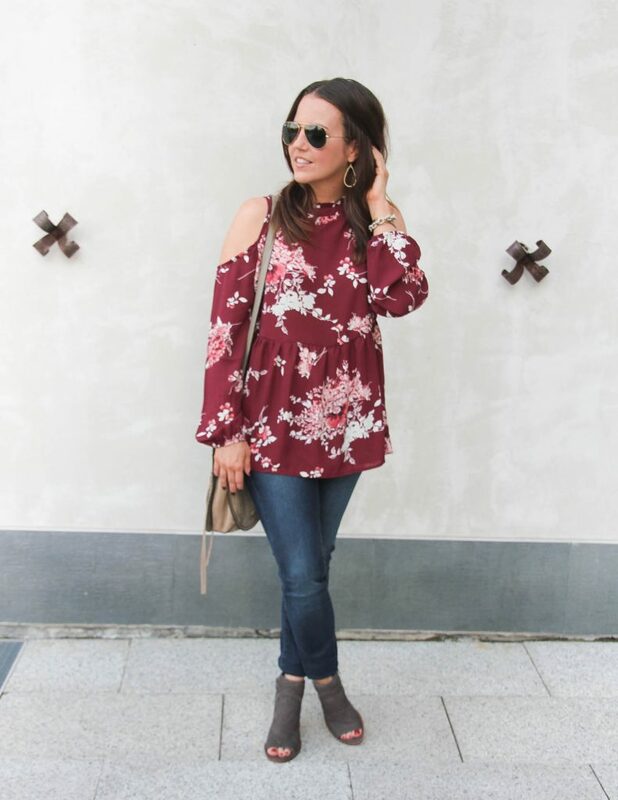 So get ready for some fall outfit inspiration over the next couple of weeks! I wanted to share now while they are still on sale, and hopefully still available. 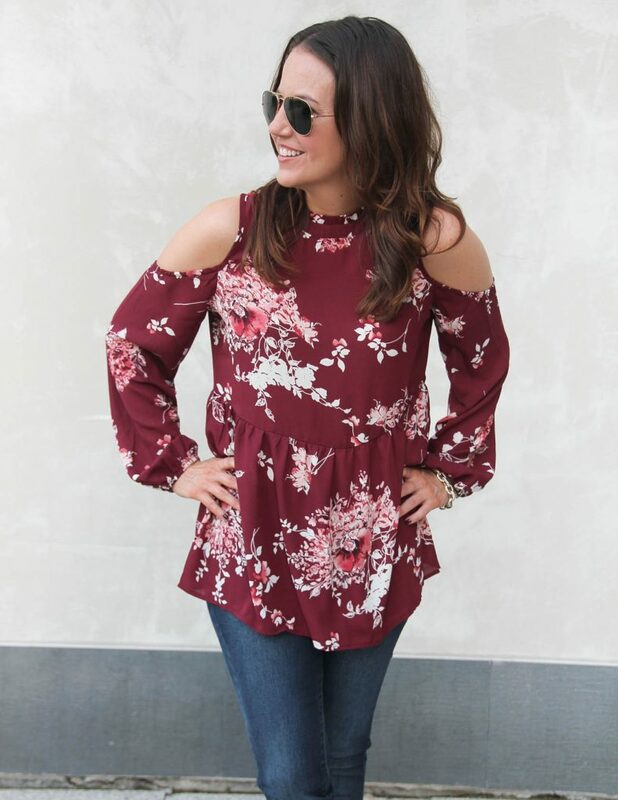 Seriously the items in this sale are going so fast! I’m still waiting for these jeans to come back in my size so I can buy them. 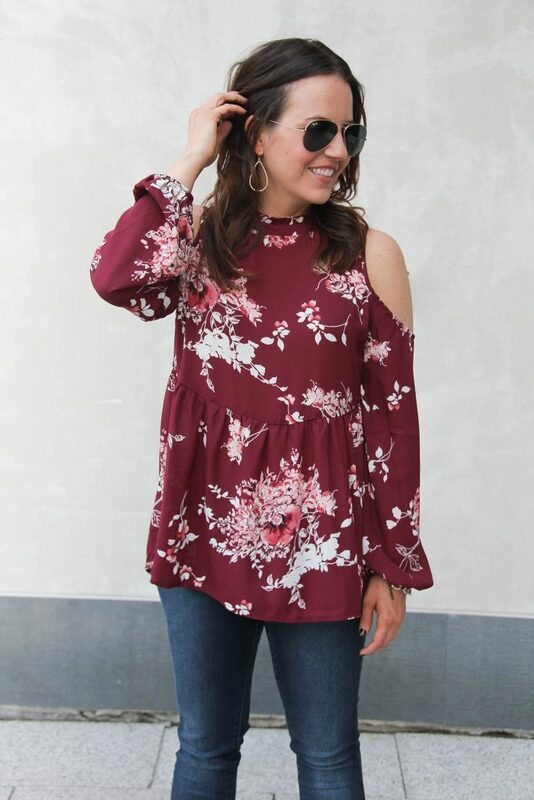 I have a few favorite tops from my purchases, but this one may be my favorite and it’s only $32! 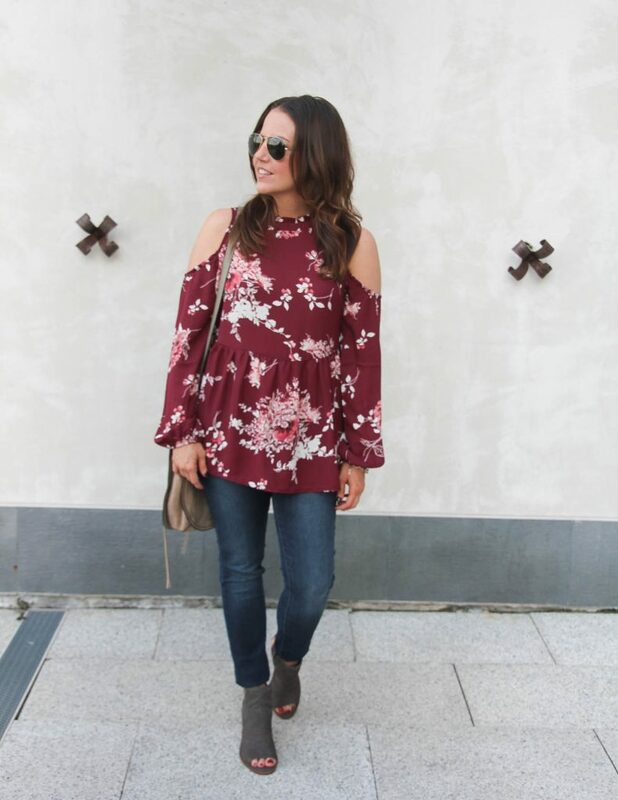 You know I love pretty much anything that comes in burgundy, and the color is just gorgeous for fall. 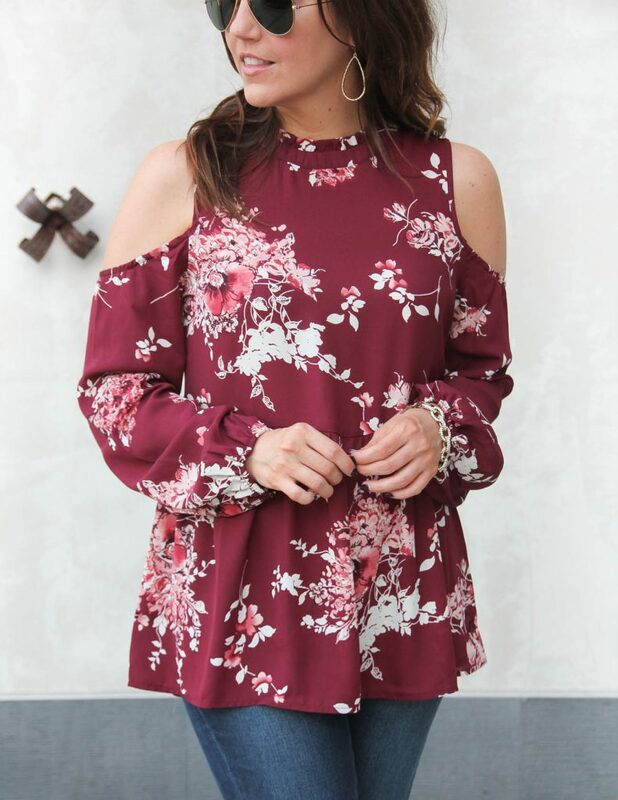 I really like the cold shoulder, high neck, and baby doll design of this top. Lots of things going on, but they work so well together. 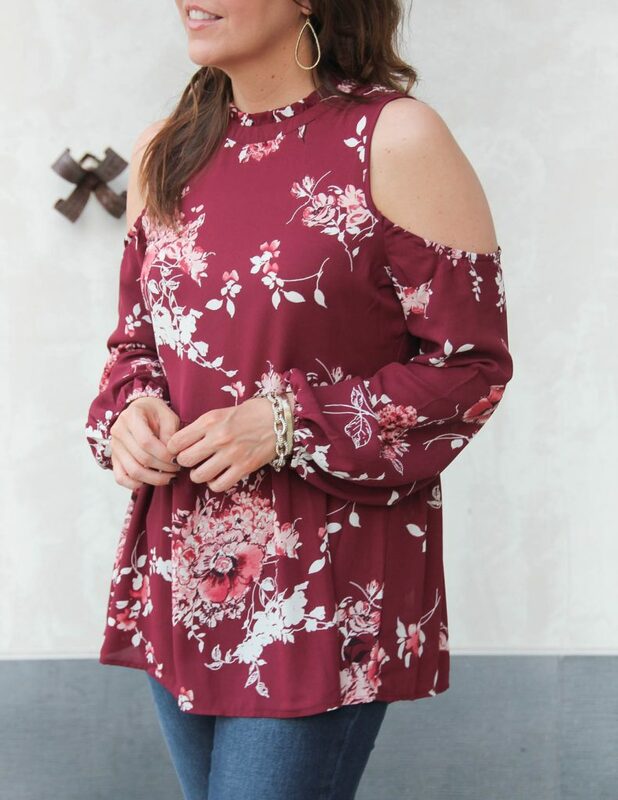 The top is comfortable and lightweight which is nice for our warmer fall days. I love the length perfect with skinny jeans. 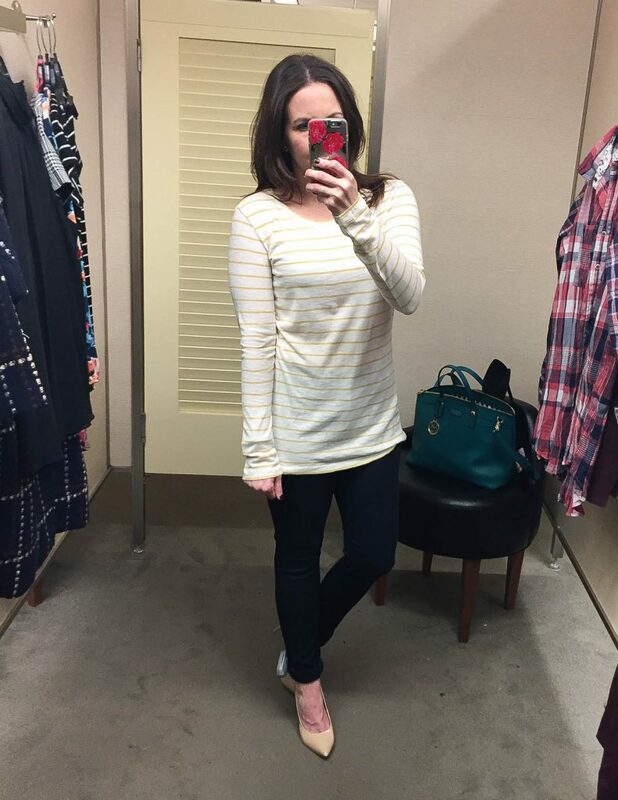 Speaking of skinny jeans, these are only $39!!! They sold out during early access and made a brief appearance day 1 of public access. The denim is a little thinner than my $100+ pairs, but they fit really well and are comfortable. I did go down one size compared to what I normally buy. I have heard good things about this brand, so I am excited to give these a try. Last but not least, my gorgeous peep toe booties. My only shoe purchase this year, and I am so happy with it. 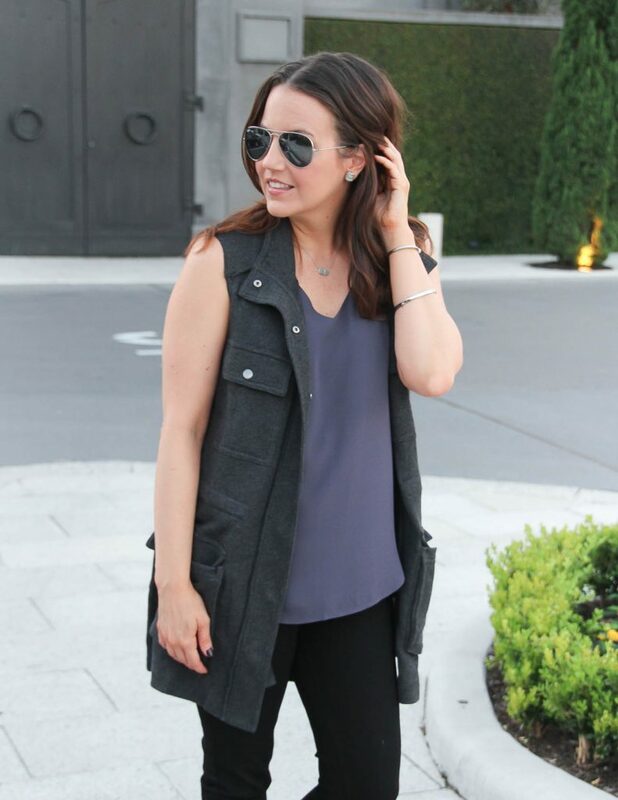 These come in three colors, but I was really drawn to this grayer shade. I don’t own any other shoe in this color, and I think it’s going to pair great with fall jewel tones and all of my more neutral faves like black and beige. For the fit on these, I ordered my regular size. I contemplated if I should go up a half size, but I decided to stick with these in hopes they stretch because they are not super tight. The main area of concern for me is the portion that goes over the toes. When I was walking around shooting photos in them, I didn’t really notice any tightness, so I think it was a good decision. Have you shopped the sale? What has been your favorite item so far? 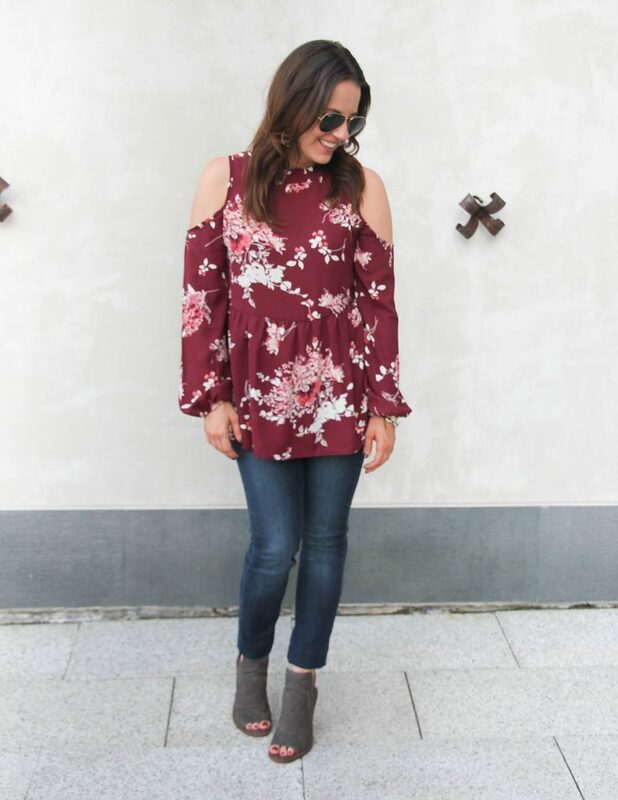 Also, don’t forget it’s Style File Link Up Day so scroll on down for more outfit inspiration! Happy Friday!! 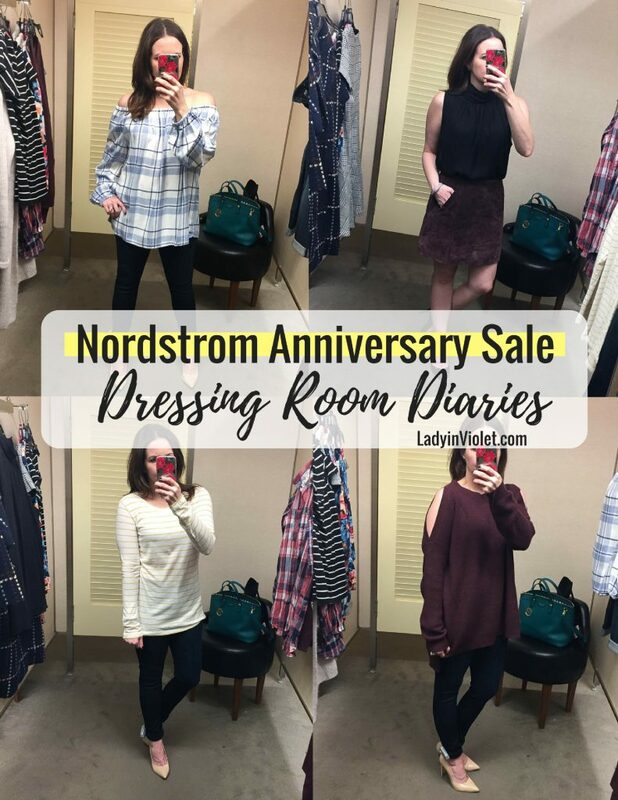 Alright ya’ll, the Nordstrom Anniversary Sale 2017 is officially open to the public! I hit up my local store a couple times this week, and I thought it would be fun to take you guys shopping with me. Even though I purchase most online, I still love to go in store and see things up close and personal. 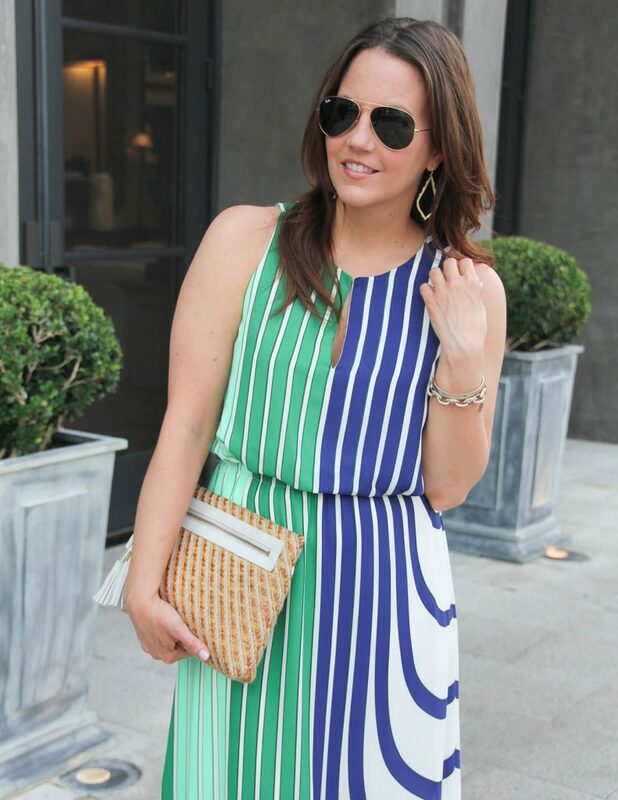 I always find items that I totally skimmed over online and end up loving! My store was already slim pickings on sizes for some things. My plan for this is to grab the next size to see if I like the overall look and fit and then order online. 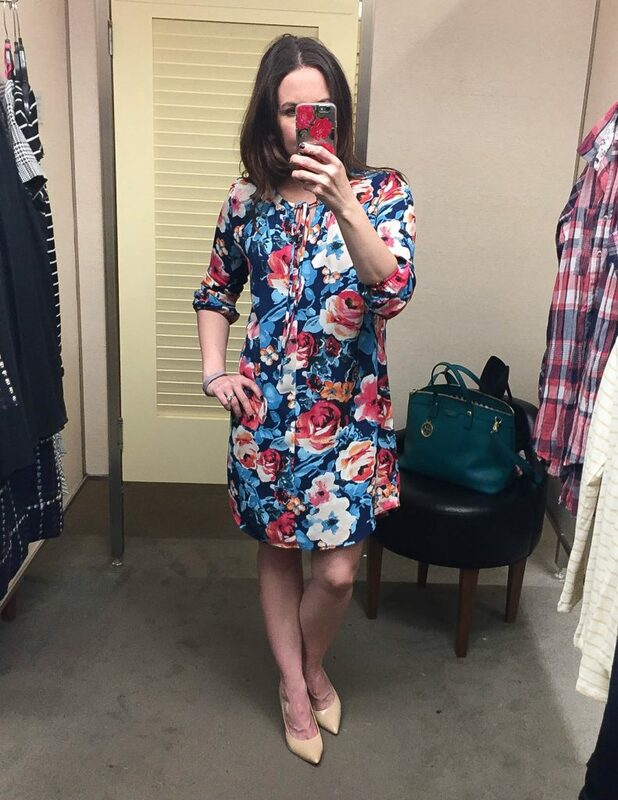 I’m sharing the sizes I am wearing in the photos, and how I felt about the fit of each for you. For a few pieces, I’m also sharing a few thoughts and opinions. 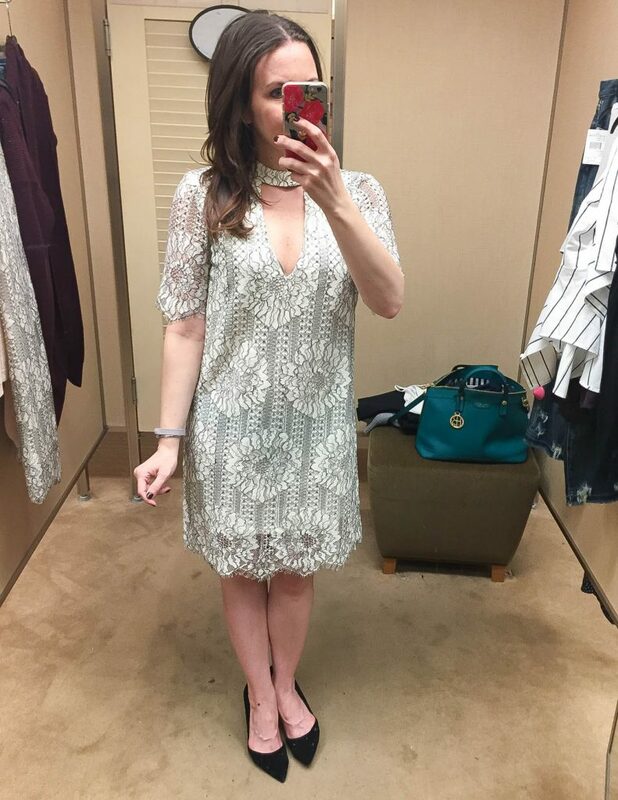 I hope ya’ll enjoy my dressing room diaries and Happy Nordstrom Sale Shopping! 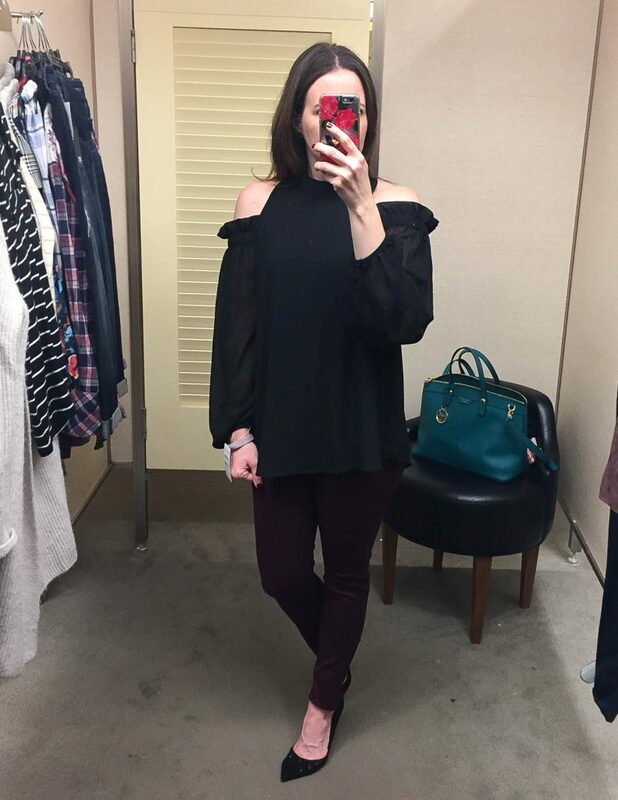 IN LOVE with this top! 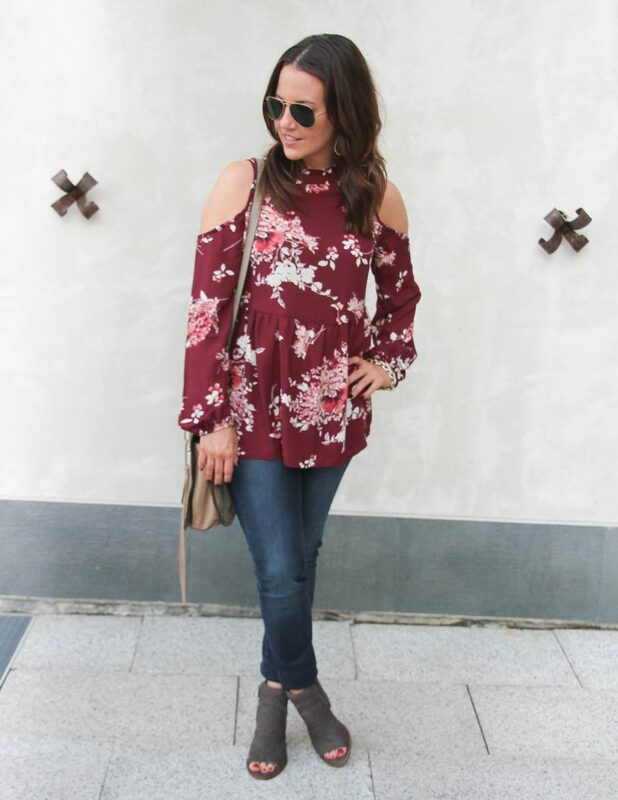 It’s so soft and very easy to move in for an off the shoulder style. The fit was a little big, but it still held up on my shoulders. 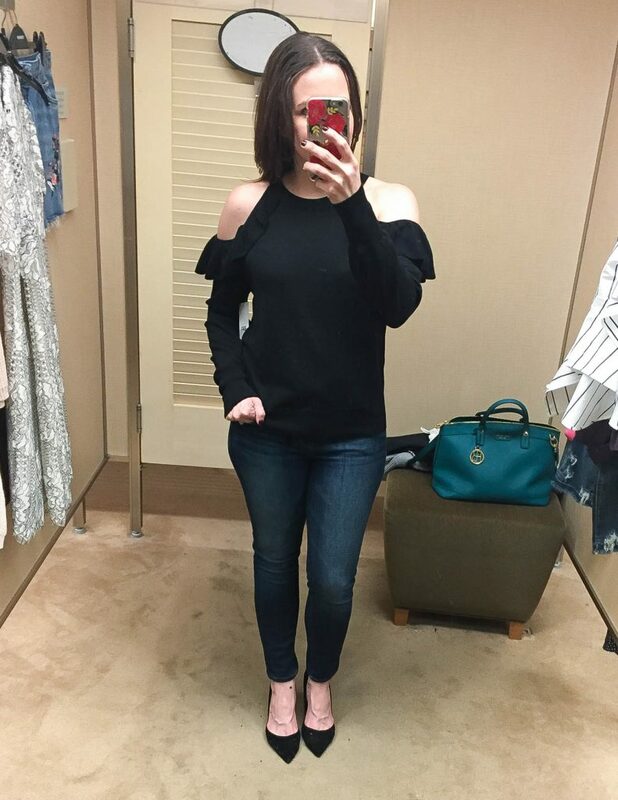 I was considering a black pair from this jean brand, so I tried these on just for fit and fell in love! They are comfy but still super skinny. 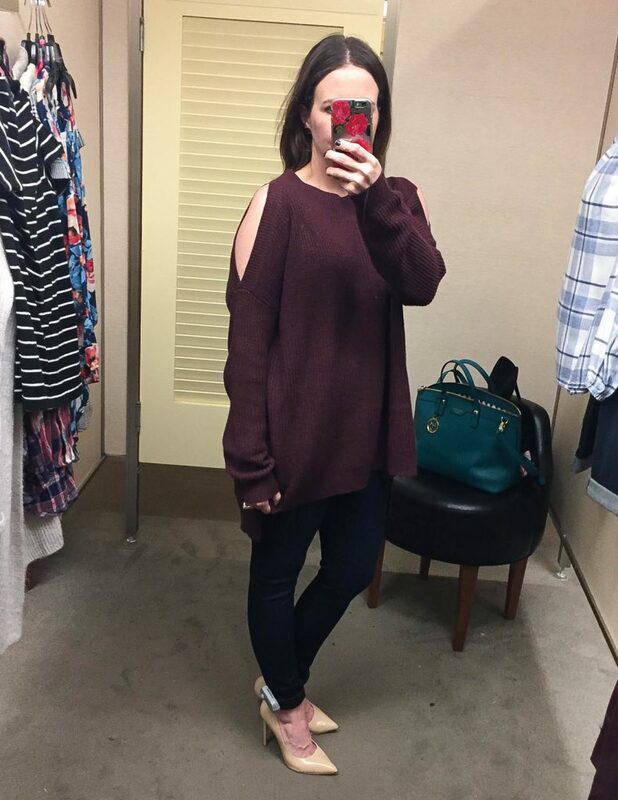 This sweater is so cute and cozy, but definitely runs really big!! It also comes in black. 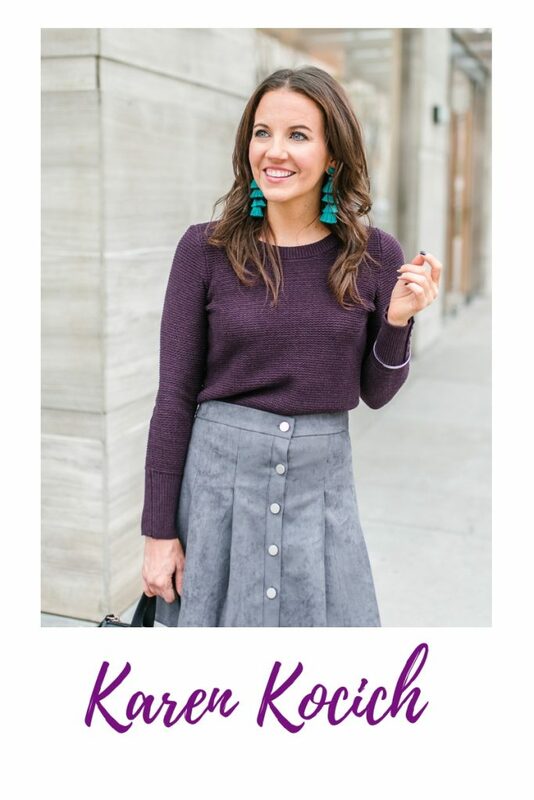 A lightweight sweater perfect for early winter/late fall. Also comes in a light purple. 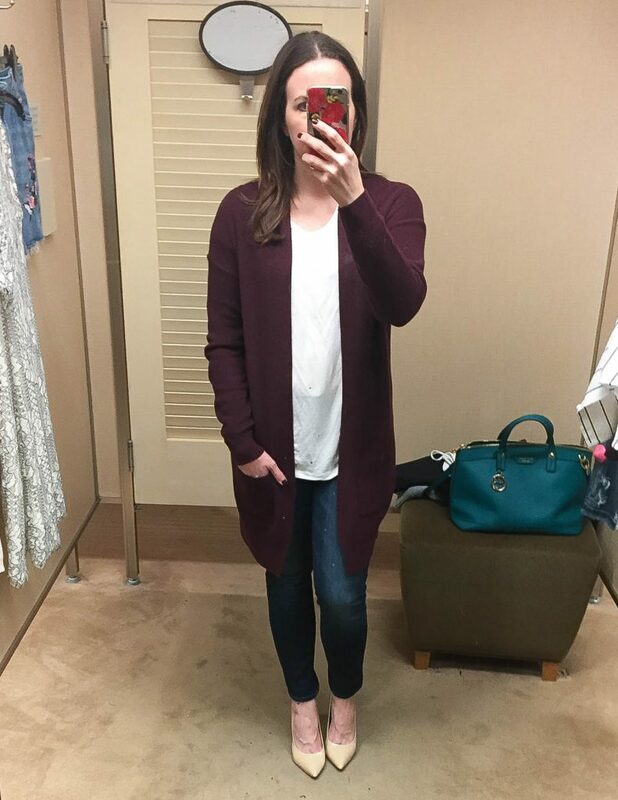 I had to stop myself from buying all the colors, love this cardigan! It’s been a popular and quick seller. 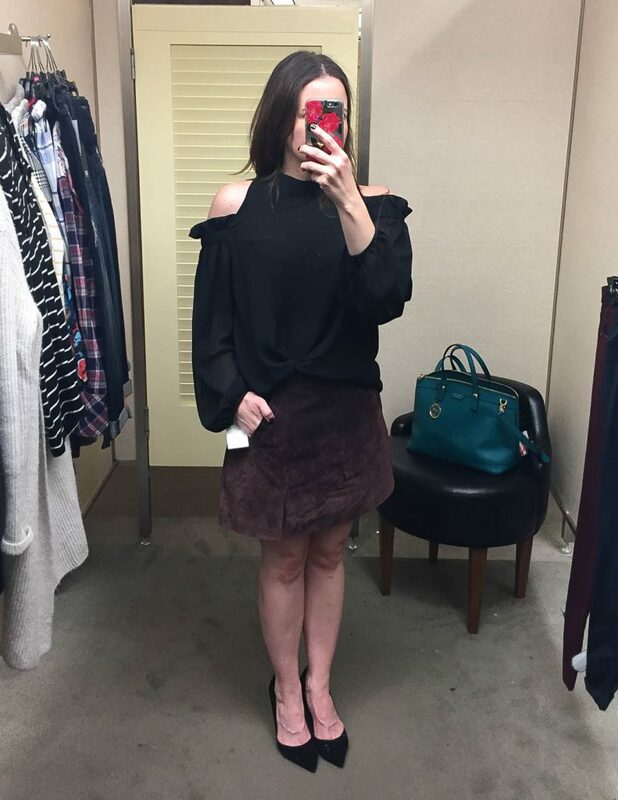 This skirt is the most fabulous thing I tried on. It fit like a glove. 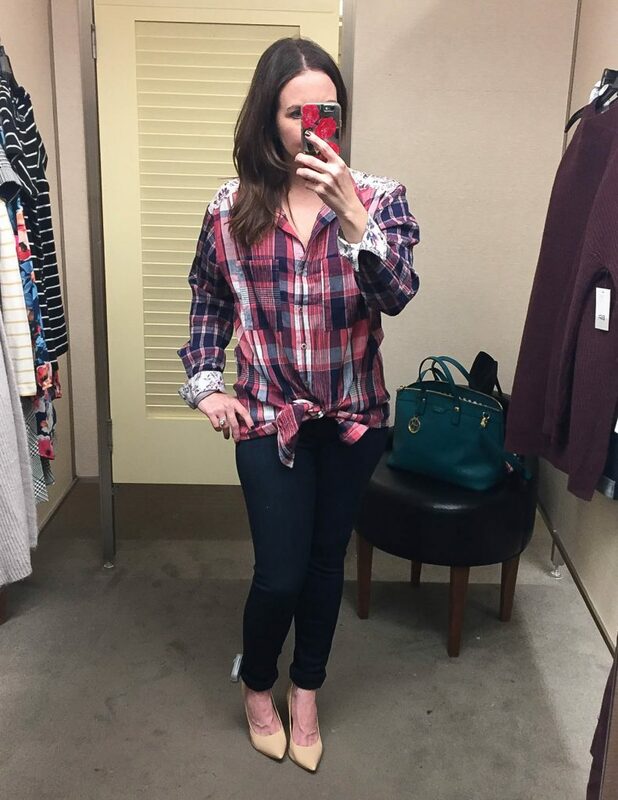 This plaid has a super cute floral print mixed in on the sleeves and back, but it was just WAY too long for me. This top will either fit or it won’t. I found the medium to be a bit too snug, and the L was too big on my arms. 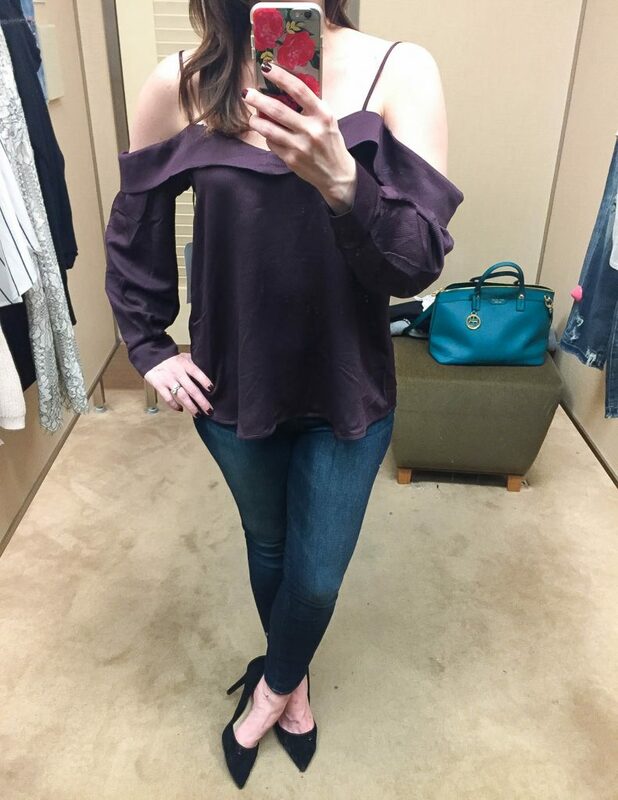 Ok, I think this top is so much prettier in person. It’s a gorgeous satin material with a great loose fit. 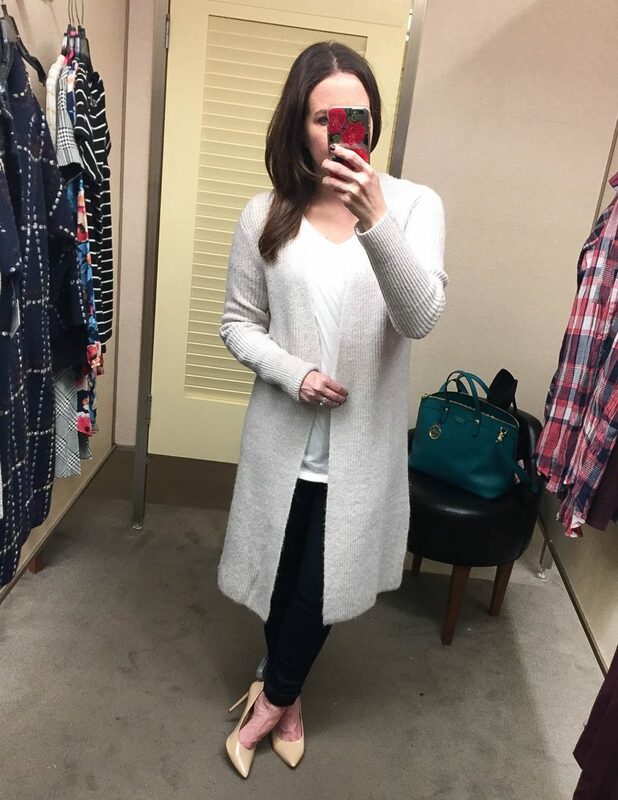 Soft, Warm and Cozy, all the things a cardigan should be. 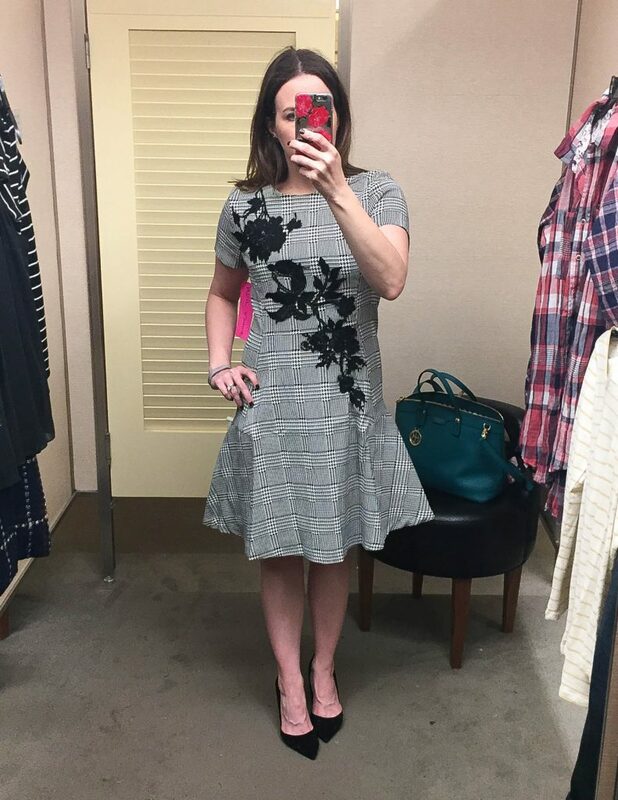 I liked the overall fit and look of this dress, but it had some odd darting on the drop waist portion that just was off on me. This jean brand can do no wrong, and these jeans are a testament to that. Perfect fit and gorgeous color. 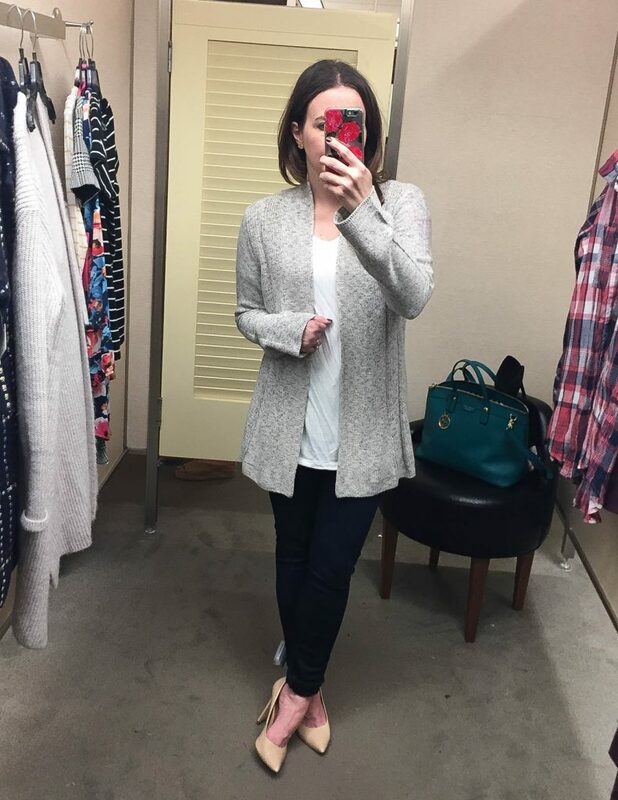 I grabbed this cardigan without looking at the price tag…. It’s really cute, high quality, and comfy, but not worth the $100 tag in my opinion. I want all the colors of this tee!! Love the fit of it. I was worried it would be see through, but I didn’t notice my bra in this lighter shade. You can see the darker jean color peeking through though. I might also buy the scoopneck version. Oh did I mention the skirt has pockets!!!! 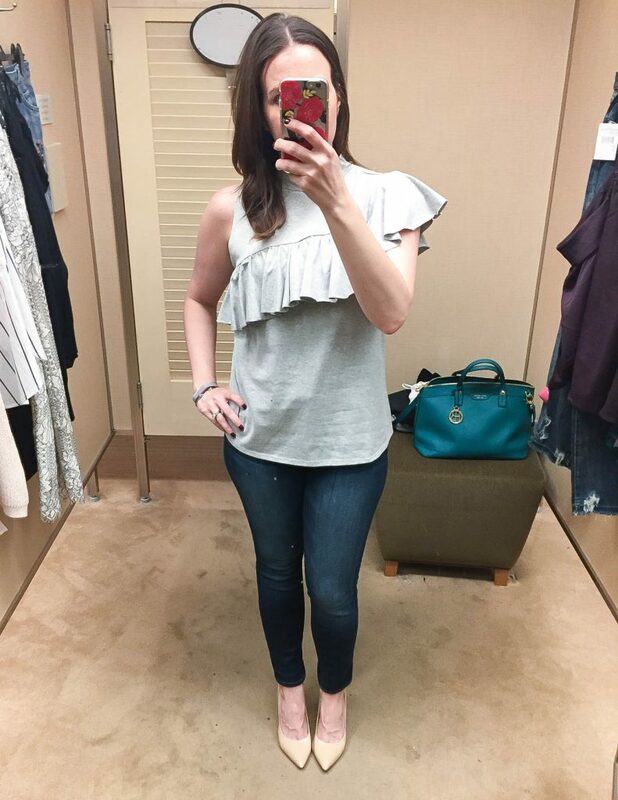 There you go, a tiny peek into my shopping trip at Nordstrom. I had a few misses including this jacket which was WAY too big. I tried on the XS and it swallowed me. Also, these jeans were cute but the fit was just a tad unflattering on me and too long maybe if I went down one size. This sweater was a huge NO! The extra long sleeves were just too much for me. Thanks for stopping by, and I hope you enjoyed this post. 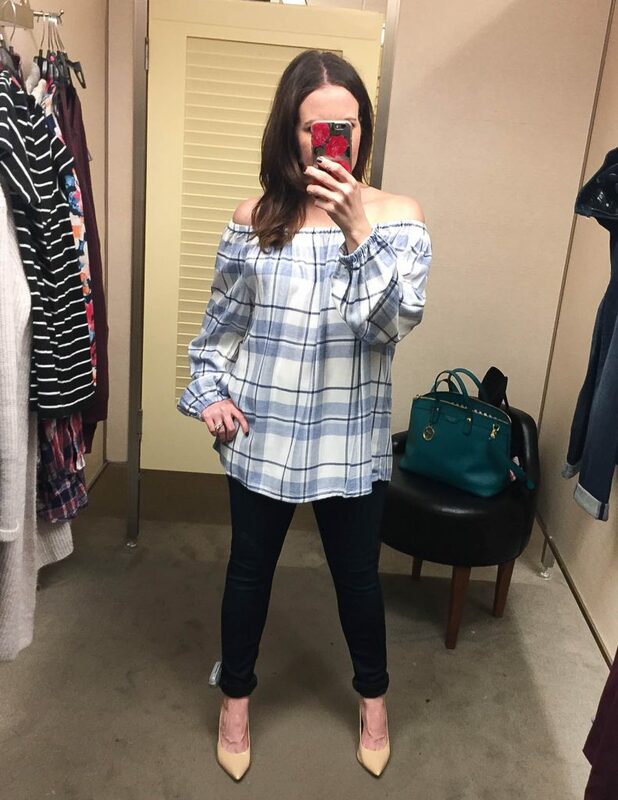 As I mentioned yesterday, it’s way different than my normal posts, but I thought it would be really fun to share the shopping side and not just the end result of pretty outfit idea pictures. 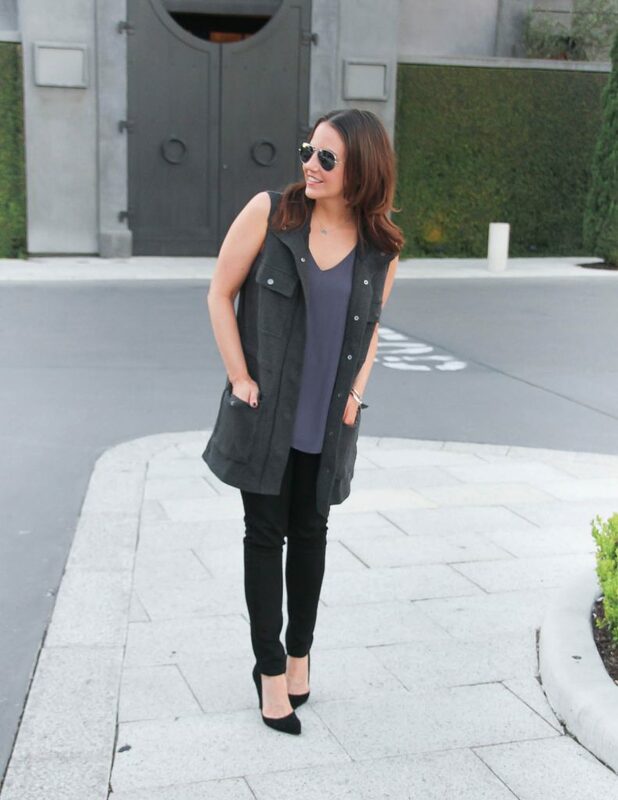 You can see more of my favorite pics over on my Nordstrom Sale page.